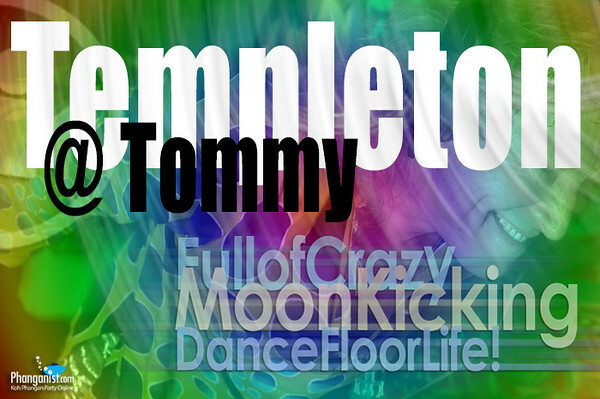 Templeton @ Tommy Trance March Full Moon 2014! People just love him for his positive craziness…they can’t get enough of his wild, colourful, energetic shows…returning again and again every month to dance away his Full Moon Party sets at Tommy’s! In his words, his music for The Full Moon Party is “Full of crazy, moon-kicking, dance floor-life at its wildest, psychedelic GaGa”. It all began when he was in Germany, at a festival, he looked down and found a brochure for the New Year’s Eve Countdown Party in Haad Rin Beach. That brochure was like a sign that he had to go to Koh Phangan, Thailand…and that’s exactly what he did…New Year’s 2002. “It’s so amazing when you see the little crying chicks on the dance floor, happy smiling, with a little Templeton flag swinging back and forth. It’s so cute! Watch the movie of Templeton @ Tommy Trance March Full Moon 2014! The original Psytrance Stage on the monthly Full moon Party on Koh Phangan. We are dedicated to keep the spirit alive to give people the incomparable experience of celebrating together in love and dance under the stars into the morning light of the rising sun on one of the most beautiful Beaches on the Planet. Our Stage is located on the far end of the Hadrin beach and offers a different atmosphere as it is separated from the mainstream spectacle. Best tunes from international top Dj's supported by the original longtime Tommy Resident Dj Team deliver an unforgettable night for all those who know! Coming together in peace and love to enjoy and celebrate under the stars. This Full Moon March 2014 Dj Templeton will please the crowd with his famous beatz!! 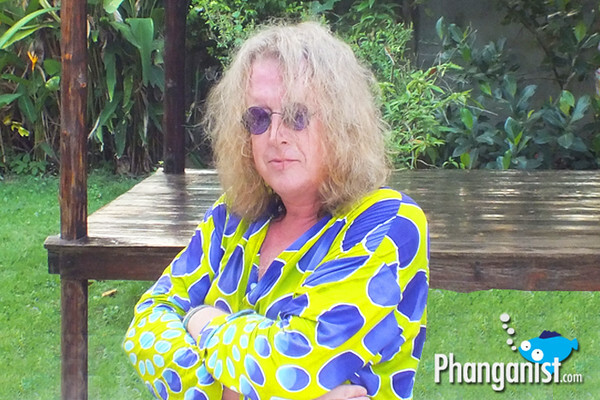 DJ Templeton is the producer of the Full Moon Party Koh Phangan Trance collection CD, which was rated first at the CD Top 100 list at the Psy Trance and Progressive charts on December 2011 - January 2012. Templeton arrive every season to Koh Phangan and usually play at the Full Moon party and between. This interview was made in Baan Tai between gigs and the party video was taken from January 2012 Full Moon party video when Templeton play the morning set at old Zoom Bar in Haad Rin. This is the video from The First Full Moon Party of 2012 in Haad Rin Beach. High Tide and energies at the old Zoom Bar. See you at Tommy Trance Scene Full Moon Night March 15! !